This year, I didn’t really get to make desserts for Thanksgiving. Which bummed me out but my family says that some people don’t cook so they can at least buy (!) and bring a dessert, whatever. So I was not happy. I really like the recipe I use for pumpkin pie and I was kinda bummed I didn’t get to make it this year especially since I was planning on making my own crust. Then, I decided not to make one of my usual appetizers this year and my aunt wasn’t happy. I love and usually make these Mini Pumpkin Tarts and I make chocolate ones too but I hate that I can’t fill the cups until right before we have to leave because if they sit too long they will become soggy. Granted, there usually aren’t that many left to get soggy but I just wanted to try some new things. So, even though I didn’t get to bake desserts I was still in charge of sweet appetizers, rolls and I did make some savory appetizers too. 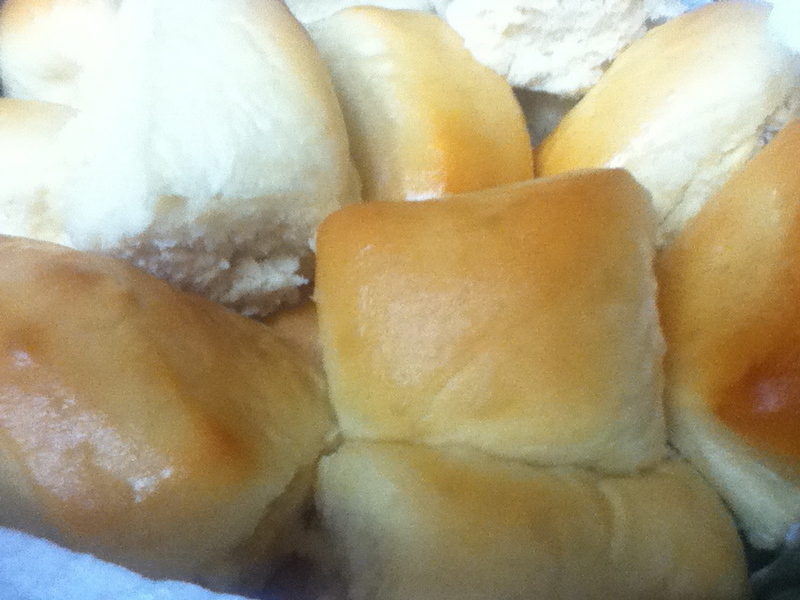 I would have to say that my biggest triumph were the rolls! O my goodness, so yummy, so perfect, I couldn’t believe that they came out of my kitchen! I think I am going to write a post about them though, so no link yet. Sorry, just a preview picture. I made Bacon Pops as one of my savory appetizers. These tasted great but were kinda messy to make, at least getting them into balls. If I had a scoop that was half the size of my cookie scoop, it would have been way easier. I thought that the sticks they use on the website were too big. I just used toothpicks and it worked out fine. I also didn’t use the apple slices to serve them because I didn’t want to have to deal with browning. It is bacon, cheese, and basil, how much yummier and simpler could it get? Easy to make ahead too, which is important when making lots of things. I also made Broccoli Bites. I added a little more seasoning to these and actually I think I added a bit too much. I also had to add an extra egg because otherwise they would not have stuck together. I would like to perfect these. Overall, really easy to make though. 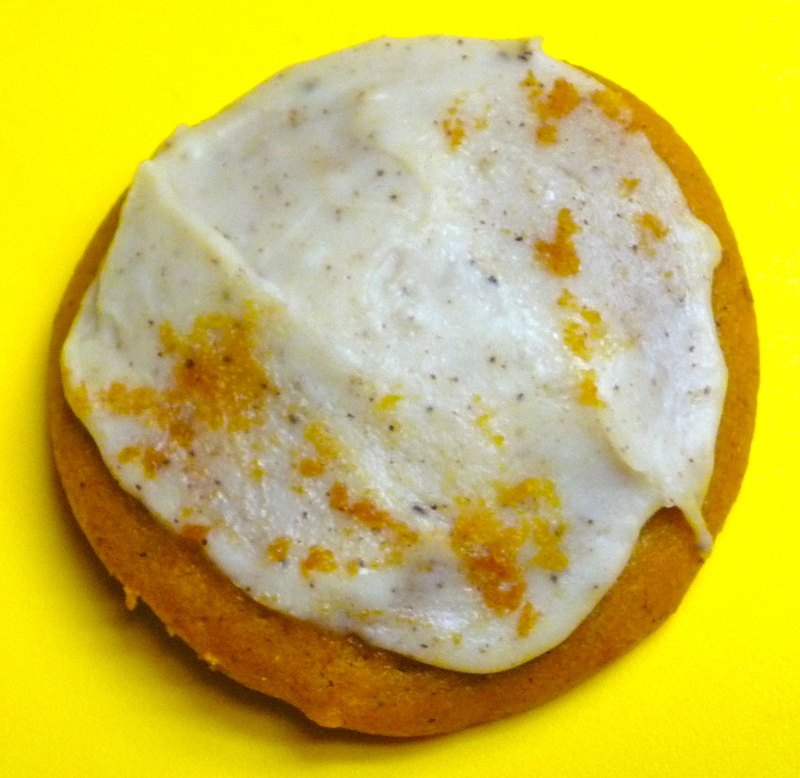 Pumpkin Pie Cookie with Brown Butter Icing. This was after Thanksgiving and other cookies had been stacked on top of it. Now on to the sweets! I made Pumpkin Cookies with Brown Butter Icing from Brown Eyed Baker. There is a reason that these cookies are all over the internet. They were like eating pumpkin muffin tops with the best icing in the world. They are originally from Martha Stewart and the brown butter icing is DIVINE. I had almost two tablespoons left after frosting all of the cookies (and it makes A LOT of cookies) and it was all I could do not to spoon it in my mouth. One thing though, is I had to make these twice. Both times I made them they needed more flour. So if you make them, keep that in mind. I also made, apple pie cookies from Smitten Kitchen. These were a lot of effort but I really thought the overall effect was awesome and now I really want to try this crust in a pie. It was crazy flaky and wonderful. I also made some cream cheese cookies that I didn’t really like, I thought they tasted just like a regular sugar cookie so I am looking to adapt that recipe and maybe post about it. I think a good cream cheese cookie would be worth it. We have three birthdays in our family from November 26 to December 1. My brother didn’t come down so we didn’t celebrate his, so instead of something chocolatey I am sure he would have picked, I made my Mexican Chocolate Cookies. 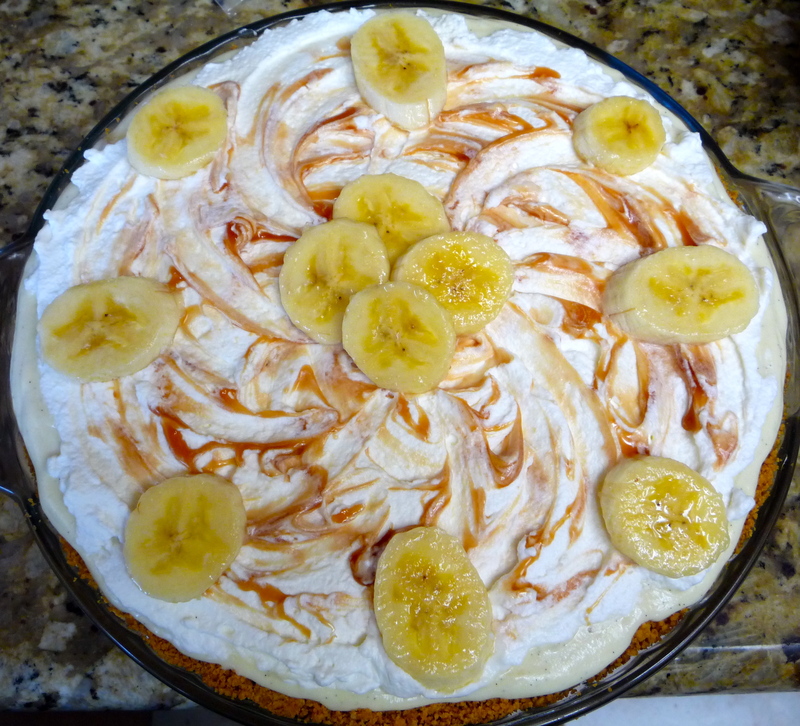 I had to make these as extra, partly because my family was mad that I shared the whole first batch with my in-laws and they wanted some and partly because I made cheesecake and banana cream pie and not everyone is a fan. First of all, quite simply if you are making any cheesecake other than Mixed Berry Cheesecake by Ina Garten, I don’t know what is wrong with you. I actually didn’t put the berries on top this time, I made a caramel but I should’ve made the berries. Every other time I have made this I do make the berries and everyone loves them on top. At some point my oven shut off and so I had to wing it as to baking time to finish it but I actually think this is the best it has ever come out. (Sorry, no picture!) That was for my Aunt. 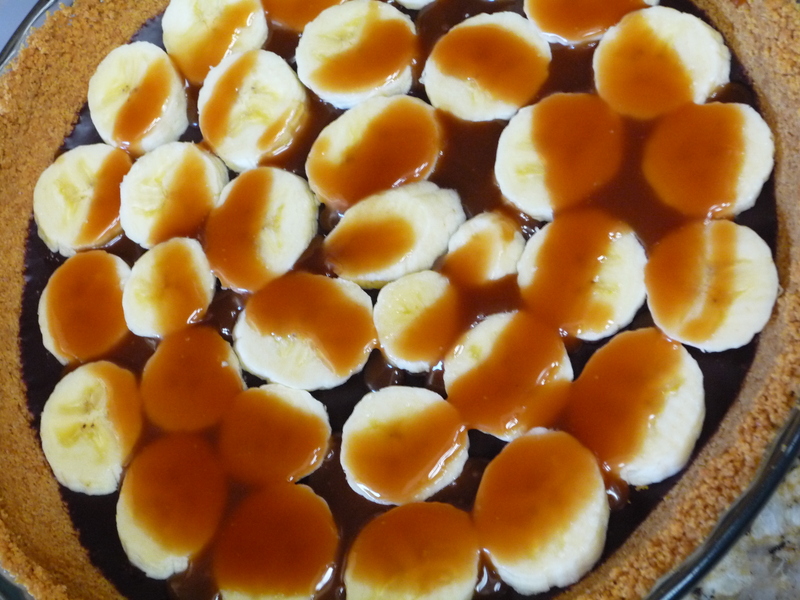 For my Grandma, who is a big Banana Cream Pie fan, I made Banana Cream Pie with Chocolate Ganache & Salted Caramel Sauce. O yeah, I loved it! My Grandmother loved it. I thought the pastry cream came out so well. I had to make the caramel twice but I got it to work. But the stupid (yes, I said stupid!) graham cracker crust fell apart! 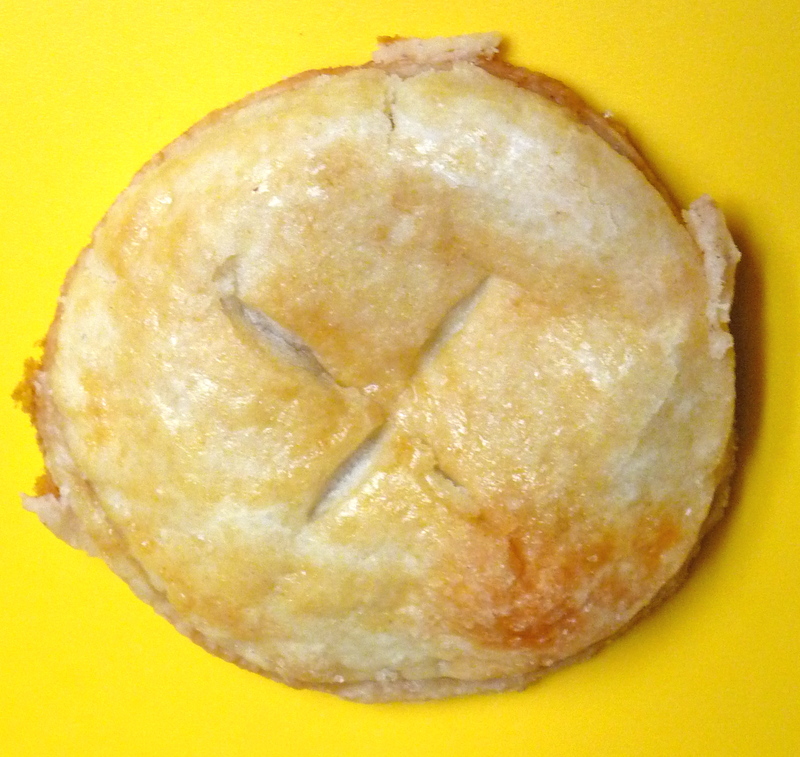 The pie looked great and tasted great too but you just couldn’t cut a slice of it, dangit! I do think it could have stayed chilled longer but I don’t think that was the whole problem. It just really chapped my hide that the most difficult elements of the recipe I got right, but the simplest was a failure. I would have posted it, I think, if it had worked completely. 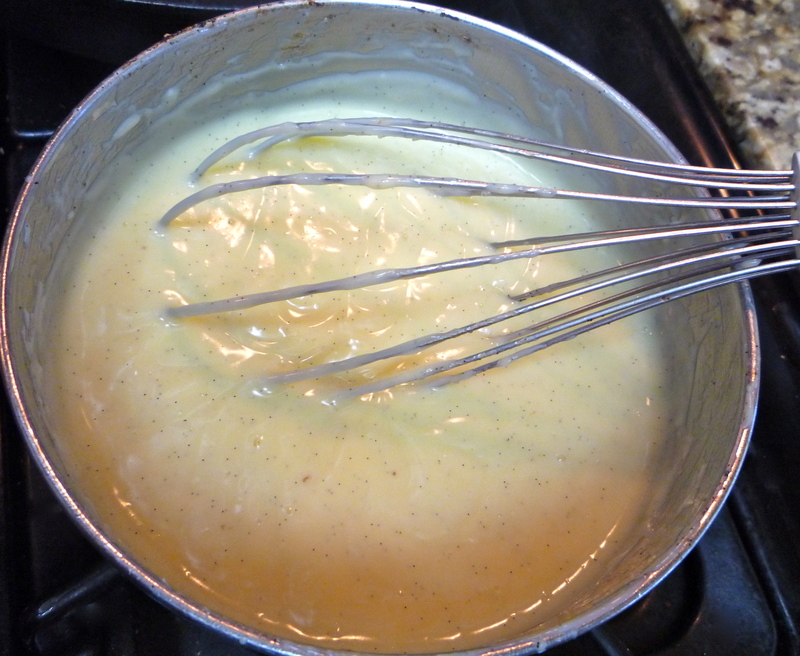 Whether I make this pie again, I don’t know, but I WILL make this pastry cream again! I am happy to show you that even though I might not post as often as I should, I am still baking quite a bit, it is just that sometimes I forget to take pictures, truly. I am sorry and I will try my hardest to do better. It is all about time management and that is something I have never been good at, plus being a procrastinator doesn’t help. My GeekyLink today is like the biggest news of the day, or it should be. NASA’s Kepler Confirms Its First Planet In Habitable Zone, this is so awesome and the fact that there are about fifty more or so that they have left to confirm that might be out there as well is just super cool. If you think that is too “out there” for you, just be glad it wasn’t Ancient Aliens! Dang, I can’t watch (or at least I shouldn’t watch) it. There is so much crazy stuff on that show and I LOVE it. Posted in Baking, Bread, Cookie, Food, Pie and tagged Aliens, Apple Pie Cookies, Bacon Pops, Banana Cream Pie, Birthdays, Broccoli Bites, Brown Butter Icing, Cream Cheese Cookies, Mini Pumpkin Tarts, Nasa, Planets, Pumpkin Pie Cookies, Rolls, Thanksgiving. Bookmark the permalink.